The impact of digital technology extends far beyond the digital sector itself. 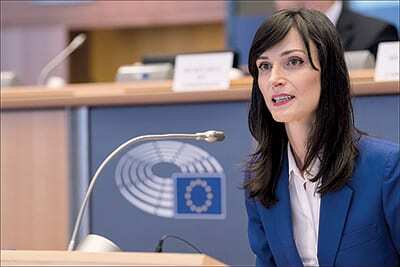 This is why we need a collaborative approach to policymaking on digital – notes European Commissioner Mariya Gabriel, speaking in the build-up to the Second Digital Summit of the Western Balkans in Belgrade. Last year’s First Digital Summit of the Western Balkans opened with the message that the “era of the digital integration of the region” is beginning. How would you assess progress on this front since then? – I have visited five out of the six Western Balkans partners since the first Digital Summit in Skopje in April last year and I’ve already seen real progress. The support and cooperation between the governments of the region are very good, and we are already seeing the first positive outcomes. My visits have also been extremely helpful in understanding where the EU can help most effectively in the implementation of the Digital Agenda for the region. Since last year’s Digital Summit, we launched the Digital Agenda for the Western Balkans in June in Sofia, which was endorsed by all leaders of the region. We also made 30 million euros available for technical support for broadband roll-out by the Commission as part of the Western Balkans Investment Framework (WBIF). Another tangible example is the memorandum of understanding on the creation of a 5G corridor between Thessaloniki, Sofia and Belgrade, which was also signed last June. Other milestones include Montenegro becoming the first candidate country to join the EU Programme for Interoperability Solutions for Public Administration, Businesses and Citizens (known as ISA2) on 29th May 2018, as well as the more than 1,000 events held throughout the Western Balkan region during last year’s Code Week – three times the number held during the previous year. Those who will determine the “digital future” of the Western Balkans are now again gathering, this time in Belgrade. Why is it actually important to bring together in one place the creators of international and regional regulations, academic experts and representatives of the economy? How is the importance and scope of such a gathering reflected? – The digital world is by definition a borderless one. The impact of digital technology extends far beyond the digital sector itself. This is why we need a collaborative approach to policymaking on digital. And I don’t just mean that governments from the region and from the EU need to talk to each other; they also need to discuss with academia, with researchers, with industry, to ensure opportunities and challenges are fully understood. We need to ensure an inclusive approach, focused on our values and democratic principles. We all need to be focused on answering the same question: how can we jointly ensure that the region benefits from these new digital opportunities? As mentioned previously, we have made real progress in the last year in terms of strategy and developments – now we need to focus on making sure these strategic developments bring the real results that we want for citizens and businesses, and in particular on closing the digital gap between the region and the EU. Your message in Skopje last year was that the digital transformation process doesn’t make exceptions and that, accordingly, the EU and the Western Balkans will continue to strive together towards the digital revolution. A subsequent major step in this partnership was the adoption of the Digital Agenda. What are its key ambitions? – The aim of the Digital Agenda for the Western Balkans is to help the region benefit from the digital transformation taking place on their doorstep and to prepare for their potential future within the European Union. Aligning the two regions’ approach on international roaming is probably the highest profile measure – and I hope the agreement will soon be reached between the Western Balkans partners on how to implement the roam-like-at-home approach that we benefit from in the EU – but it is far from being the only one. For example, we are investing in broadband connectivity – with the €30 million in EU grants that I mentioned earlier. High-speed networks are as vital to today’s economic and social development as electricity, water or transportation networks were in the 19th and 20th centuries; broadband internet is the enabler of many innovative services, such as e-health, ‘smart’ cities and data-driven manufacturing. The money available under the Western Balkan Investment Framework (WBIF) will help accelerate the pace at which this vital infrastructure rolls out across the region. I have been encouraging partners in the region to come up with specific projects in this crucial area. Better high-speed networks lead to an increase in the number of digital products and services available to consumers – but with these also comes the need for higher levels of online security and trust. The number and size of cyber incidents that we are witnessing – both in terms of geographical spread and the variety of sectors involved – show us that no country can face these challenges alone. For a digital society to work, there must be trust: trust that personal data is taken care of correctly, trust that sensitive business information is not leaked. A robust cybersecurity strategy is needed to give citizens and businesses the confidence they need to use the internet. It is a challenge that is common to all of us in Europe. As such, it requires a common response – coordinating our national cybersecurity strategies and increasing our shared cybersecurity capacities. This is what we’ve achieved in the EU with the political agreement on the Cyber Act, which includes a new mandate for ENISA and a new certification scheme. As the number of digital services grows, we also need to make sure that citizens are confident in using them. This means improving their digital skills – not only as users but also as potential creators – encouraging the development of coding in schools, for example. This is why we were pleased to see such a significant increase in the number of Code Week events taking place in the Western Balkans last year. And we are not just looking to boost the capacities of the next generation of coders; the Digital Agenda also supports national research facilities and connects them with the digital European Research Area, giving the region’s current raft of researchers and engineers access to world-class training and collaboration. The second digital summit, to be held in Belgrade, also brings the signing of the long-awaited regional agreement on roaming tariffs, equating to more favourable prices for the citizens of the six Western Balkan economies. On the other hand, what can we expect in terms of the abolition of roaming tariffs with EU members? This clearly cannot happen overnight – considering that negotiations for Union members themselves were long and complex. – There are in fact two issues related to roaming currently being negotiated: how to lower tariffs within the Western Balkan region and, as a second step, how to lower tariffs between the region and the EU. Once a regional roaming agreement is in place, we can indeed start the process of lowering EU-Western Balkan roaming tariffs. This will not happen overnight, but I know the political will is there, and the expertise and experience within the EU of having already gone through this process will be invaluable. What is clear that we cannot simply impose a reduction in tariffs. We have to ensure that telecommunications companies in the region have a stable environment for their investments, with clear and harmonised legal frameworks in place. We need cooperation with telecoms operators to ensure the roll-out of broadband and prepare the region for future technical developments, including 5G. So, this obviously has to be handled with understanding and cooperation, with both national and regional authorities and the telecoms sector, including the role of regulators playing their part. For example, we need to ensure that prices for frequencies auctions are fair and reasonable, that permissions for building new infrastructure are harmonised across municipalities and regions, and that access to existing infrastructure and its reuse is made easier. 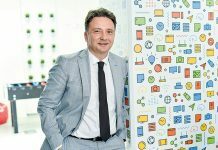 Recent years have seen Serbian engineers and the Serbian economy recording progress in innovative fields, while there are a growing number of companies that are global champions in the areas in which they operate. Do you believe that closer cooperation with neighbours in the domain of innovation and innovative entrepreneurship will bring even better results for all? 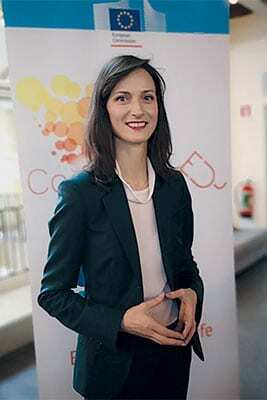 – Start-ups are the drivers of innovation. The digital economy has dramatically accelerated the speed of innovation, user adoption and information sharing, as technologies evolve faster and become more widespread than ever before. Start-ups play a catalysing role in innovation, creating new businesses and services in the process. This is why, last November in Sofia, we opened our existing EU networks, such as Start-up Europe, to cooperation with the Western Balkans. We will discuss possible best practices at the Summit this week (21st March) in Cluj, Romania. This will help the region’s companies and start-ups connect with, and learn from, their EU counterparts. Cooperation is important to allow start-ups to innovate and grow. We also need to do more to attract more women, digital entrepreneurs. A recent EU study on Women in the Digital Age shows a worrying decrease in the number of women opting to study ICT-related subjects and taking up jobs in the sector. For every 1,000 female tertiary graduates in the EU, only 24 are graduates in ICT-related fields and only 25% of them end up working in digital jobs. This needs to change. One of the main problems that women face when starting a tech company is the lack of access to capital, despite the fact that investment in female-founded start-ups performs 63% better than exclusively male-founded start-ups. Can we expect even stronger support from the EU on this road? -Yes, indeed. We already include the Western Balkans in our existing networks and encourage relevant stakeholders to join. And startup organisations from the region are also organising themselves more effectively to take advantage of this access to our existing EU framework. A Western Balkans start-up network is currently being developed (alongside a similar one for start-ups from Central and Eastern Europe, within the EU). When it comes to regional cooperation in the digital domain, one of the most important topics is cybersecurity. The relevant government ministries recently announced the possibility of establishing regional training centres. In your opinion, what would be the benefit of such centres? 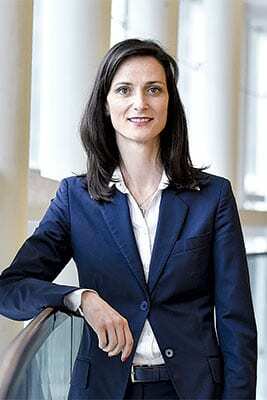 – In order for a digital society to work, there has to be trusted. This is why each economy needs a robust national cybersecurity strategy. At the EU level, this is based on the Network and Information Security Directive (NIS), and all the governments of the Western Balkan region are in the process of aligning their national strategies with the NIS directive, thus strengthening their cybersecurity capacities. But it is about more than just having an effective national strategy. As I mentioned before, the digital world is by definition borderless, and cybersecurity incidents rarely hit only one economy, which means that sharing knowledge and cooperating is essential to preventing and addressing them. The EU is preparing a programme to strengthen the cybersecurity capacity of the region and facilitate cooperation. I mentioned ENISA and the certification scheme, and we need to ensure that our Western Balkan partners are included in this cooperation. Which other domains have the greatest potential for regional integration? 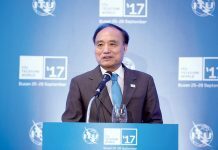 – There are several areas where regional integration can help to speed up digital transformation. The harmonising of rules and procedures will help cut red tape and shorten the time needed to set up a company or trade across borders. Mutual recognition of electronic IDs will facilitate the lives of both citizens and companies in the region. And exchanging data between the region’s governments using standard building blocks will enable and support the wider data economy. How significant are events like the Digital Summit for the economy? What were the impressions of companies that participated in last year’s Digital Expo? – Events like the Digital Summit show a strong commitment from leaders that digital is a priority and is to be taken seriously. The participating companies have a great opportunity to not only show what they are doing but also to connect with other companies and networks that can help them grow. It is important to increase cooperation not only within the region but also globally. Regional integration encourages the development of the digital economy and society but also contributes to approaching the EU’s single digital market. What are the key steps that are necessary to make the Western Balkans even more effective in achieving this goal? – In the EU we have developed the Digital Single Market Strategy to ensure that the European Union is well-placed to attract investments, foster creativity and innovation, provide top-class public services and protect our businesses and citizens. Based on our experiences, there are many areas where I would see a real advantage for partners in the Western Balkans by working together more closely. For example, developing the vital broadband networks needed to underpin the digital society of the future can often be easier and cheaper when connecting across borders than within the country itself. A coordinated approach on spectrum policy, agreeing which frequencies should be reserved for which services, is another area where regional cooperation is beneficial, especially given the exciting potential offered by 5G. But it is important to remember that the EU is essentially a partnership between equal partners and that this is why it functions. In order for the region to grow, there is a need to continue to build trust between the economies. Increased cooperation will make the region stronger and speed up digital transformation. Digital transformation also implies a labour market revolution, while demand for IT specialists is today growing faster than ever before. What is essential for the advantages brought by digital transformation not to be endangered by workforce shortages? – In 2017, some 25 per cent of major companies and 10 per cent of SMEs in the EU used big data analytics. Only one in five SMEs was highly digitised. When asked about the reasons for this limited digitisation, 72 per cent of employers cited “a lack of staff with the right digital skills”. This gap between what is needed and what is available is one of the key factors holding back the rapid development of a wider digital society in the EU. The situation in the Western Balkans is even worse. The opportunities to learn advanced digital skills related to technologies like artificial intelligence or cybersecurity are few and far between. But digital skills are needed for many jobs these days, and even these are sorely lacking in many cases. Nurses, farmers, teachers, lawyers… they all need digital skills of some form or other in their workplace, and skilled workers are very often increasingly hard to find. This is why we need to develop a comprehensive strategy for digital skills, at the national level but also at the European level. The European Commission has launched a number of initiatives in this area, all of which are open to the Western Balkan region. For example, the Digital Skills and Jobs Coalition was created to bring together a wide range of stakeholders – including EU member states, companies and education providers – to take action to tackle the lack of digital skills. And, in an effort to increase the number of young people with advanced digital skills, the Commission has also launched the Digital Opportunity Traineeships pilot project to provide cross-border traineeships for up to 6,000 students until 2020. The project started last summer and there are already almost 2,000 Digital Opportunity traineeships in cybersecurity, software development, big data analysis and coding taking place across Europe. 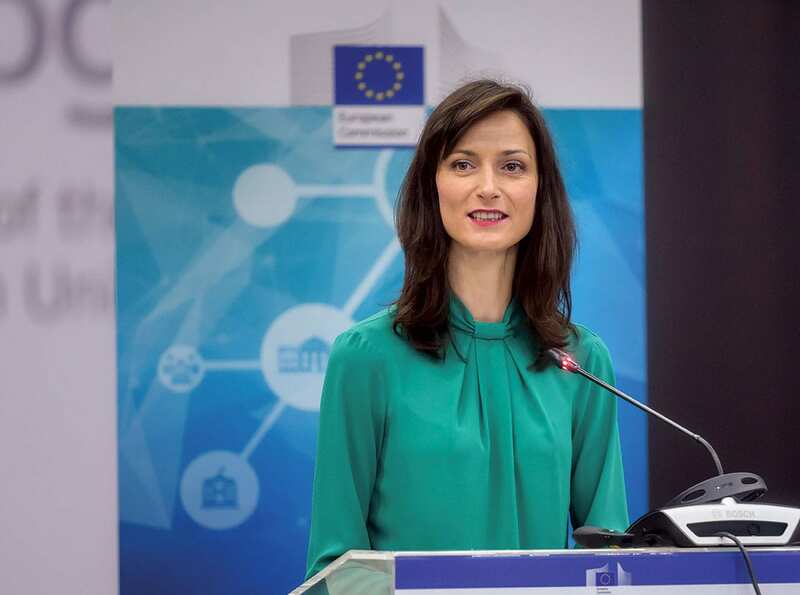 The European Commission praised Serbia for the results achieved in the digital transformation of public administration, as well as for adopting and efficiently implementing a set of laws governing this field. Do you believe that it is additionally important that the state is also helping in the digital transformation of the economy? This year is the first time that the Chamber of Commerce & Industry of Serbia and the state have subsidised the digital transformation of the SME sector, in an effort to accelerate their growth, but also to raise awareness about the essential nature of this process. How would you evaluate such an initiative? – By its nature, government plays an important role in helping to digitally transform the economy. Public administrations need to lead by example and become enablers for businesses to improve economic activity and for citizens to improve access to services. Government plays an essential role in helping to remove existing digital barriers, reducing administrative burdens and improving the quality of interactions with government. Leading by example is also important. We need to accelerate the roll-out of digital public services across Europe – while of course ensuring that citizens and businesses can trust the safety and effectiveness of these services. It is clearly important to also ensure that we do as much as we can to support the digital development or transformation of SMEs, including through digital innovation hubs. But this needs to come as part of a broader policy of support for smaller companies, including increasing networking opportunities for SMEs, start-ups, investors and accelerators. Focusing on the creation of a thriving ecosystem can multiply jobs, growth and investment. An example of how we do this in the EU is ‘Start-up Europe’, which coordinates the EU’s work to connect clusters and ecosystems across Europe and aims to bring stronger coherence between different EU initiatives. It links national and regional ministries, innovation agencies and other stakeholders. In my view, a stronger start-up ecosystem needs proper cooperation between all players in the country and the region. Founders, accelerators, academia, investors and government institutions should all work together for the benefit of all citizens.